It's that time of year again where we make unrealistic resolutions like 'i'm going to give up coffee', knowing full well we will cave the minute someone asks us out for coffee, telling ourselves 'its okay when it's in a social setting', mmmm...okay. The New Year is the time for renewing gym memberships, crying over your bank balance, rethinking your goals and rewriting your bucket list for the year. Check out these easily attainable bucket list items to add and tick off this year. 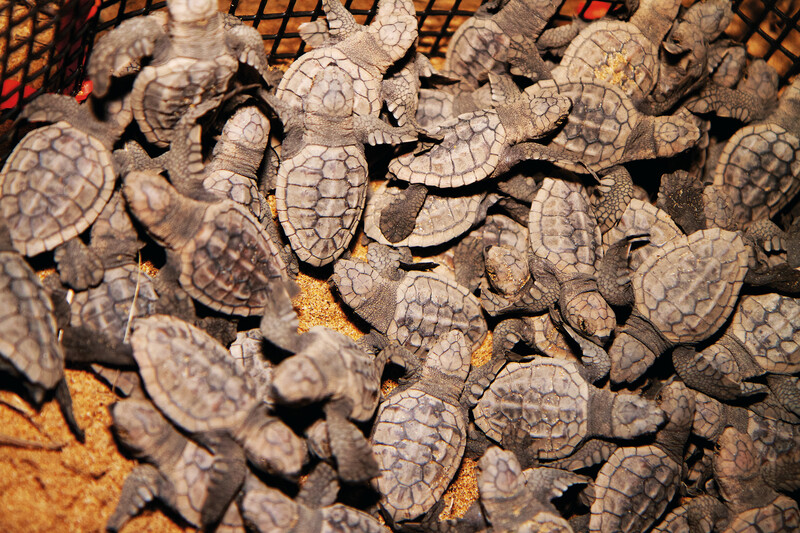 Witness a miracle in the Bundaberg North Burnett Region as Mumma turtles nest November – January, and hatchlings emerge January – March. You can tick this awesome experience off your bucket list, and 'help save an endangered species with 100% of profits going to turtle research and conservation. Bundaberg sits at the southernmost tip of the Great Barrier Reef, the Southern Great Barrier Reef, and is the gateway to awe-worthy underwater experiences. You don't have to drive too far north to explore the Great Barrier Reef. See these peaceful giants glide through the clear, blue waters of the Southern Great Barrier Reef. Head to the Bundaberg Rum Distillery and try the Blend Your Own Experience. Experiment with different flavours and techniques and create your signature drink. Bargara Brewing Company operates out of their restaurant, The Brewhouse, where you can take a tour of the brewery and enjoy a beer and pizza while beer is being made right in front of you. Pack your backpack or suitcase and head to the airport. Enjoy a scenic flight from Bundaberg or Brisbane airport to the picturesque Lady Elliot Island. See the manta rays and turtle swim from a birds-eye view. Pic or it didn't happen! Snap a selfie with a cute flippered local on the Southern Great Barrier Reef. Our turtles are curious and in abundance so make sure you have your camera ready, but if you miss your shot, you're sure to get another one! Stroll the storybook town of Childers and catch a movie at the restored Paragon Theatre built in 1927. Enjoy a locally-made Mammino Gourmet Ice-cream and watch a blast from the past. Be brave and handle a croc at Snakes Downunder (even if it is only a baby). Snap a pic to give your mum a scare and tick it off your bucket list. Climb The Hummock, albeit a dormant volcano, but a volcano none the less. Take a packed picnic lunch or head to Bargara and grab some fish and chips to enjoy at the top with panoramic views of city, farmland and sea. Head to Grunske's by the River to purchase some fresh, delicious prawns from their seafood market to enjoy at home while you watch a game, or order 3 dozen for lunch from their restaurant with your best mate and challenge them to a prawn peeling competition. There are more than 10 National Parks in the Bundaberg North Burnett Region, with Mount Walsh, one of the biggest and best. From easy walks to rockpools and picnic spots to a more difficult climb to breathtaking views of the North Burnett, why not hike them all? Soppy and romantic, we know, but guys (and girls) get up some brownie points with your partner and push that 'I'm too cool' attitude aside for 5 seconds and give your lover a smooch underwater. Where can I tick this off? As easy as it would be to get this over quickly at the beach you might end up kissing a mouthful of sand after a few waves, so take you S.O out to the Southern Great Barrier Reef and kiss with the turtles and effervescent coral. Enjoy sunrise and sunset from The Hummock after your morning and evening walk, see the sunrise with a coffee at Bargara and watch it set with fish and chips at the turtle park, or take a few days off and spend a couple days enjoying sunrise and sunset after another at Lady Elliot Island Eco Resort. Our delicious and inventive cafes pride themselves in being at the forefront of the locavore movement, and why not, when you have 25% of Australia's fresh produce grown right under your feet. Join the locavore movement for a week, dine out every day or grab your locally-grown produce from the markets or local grocers. Where can I tick this off? The Bundaberg North Burnett Region is full of locavore-connoisseurs whose restaurant menus are adorned with fresh, local produce, with enough dishes to get you through the week, or go for a drive and pick up some fresh produce from the roadside farm stalls dotting the roads.